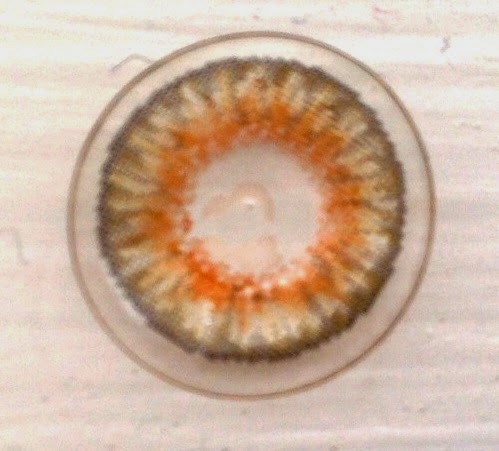 It is common knowledge that doctors hate color contact lenses. Why, may you ask? The oxygen levels passing through the lens are traditionally terrible --causing tons of infections and scar tissue in patients. The comfort was a disaster for most people, which means tons of complaints when you come in to see your doctor at an annual visit. Not to mention the fact that color contact lenses are innately for "cosmetic" use, which just seemed to undermine the seriousness that a doctor needs you to approach contact lens wear and its responsibilities with to avoid complications. Over the past few years, the market had been making a concentrated movement away from color contact lenses. The old Durasoft lenses were discontinued, followed shortly by all of Acuvue's color contact lens products. But there is actually, finally, a new color contact lens option that solves some of the issues that colors have been causing for years, and it just launched this month! Colors: A wide initial range that will look familiar to Freshlook Colorblends wearers. The only real notable absence is the amethyst option that is quite popular where I live and work. Ciba has also launched a website to "try on" colors, where you can upload a picture of yourself and then superimpose the color options over top. The goal is to narrow the selection down at home before you try color samples on at the doctor's office. Like other new Ciba products, the lens is being launched with a universal pricing policy -- meaning that the lens has a minimum sell price for all distributors to prevent bulk or online wholesale companies from undercutting smaller private businesses. I actually found the lens to be the most realistic looking color lens yet. The colors even in the "vibrant" section are relatively subtle by previous standards, and the fake pupil appearance is minimized by the smooth color transition that Ciba has made at the center of the lens. Each lens color has a 3 zone transition, with a brighter interior accent color and a bold outline around the outside of the lens to enhance dimension for a more natural look. The pure hazel design pictured here shows this effect nicely, and you can see that the wearer's personal eye color will be subtely showing through in the middle zone of the lens to add more natural looking color dimension. To demonstrate how subtle and "natural" looking this color is, I submitted myself to a test drive. 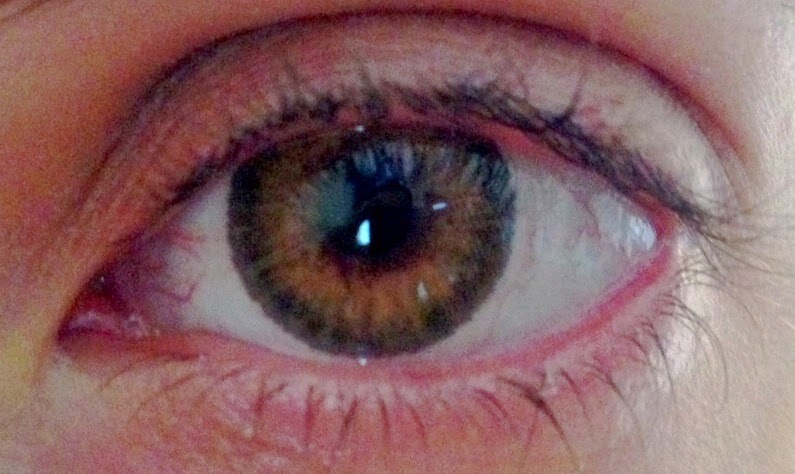 I have light brown eyes, but you can see even the "vibrant" Gemstone Green lens allows some of my natural brown to show through. 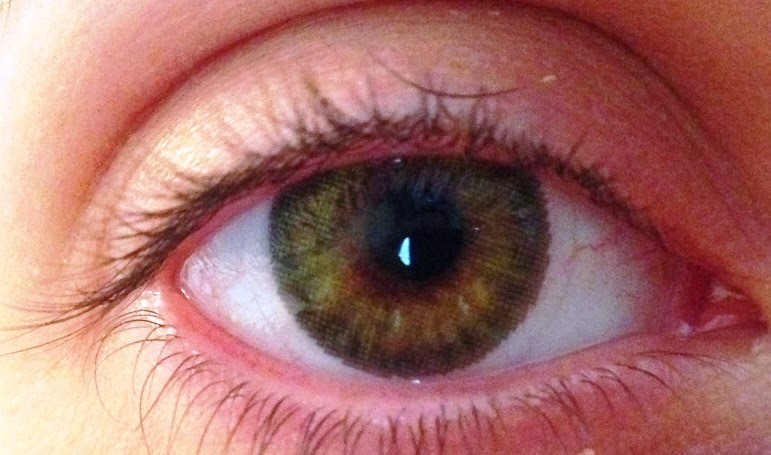 The effect is a definite green tint, without looking like you are wearing fake contact lenses. Below is the more subtle option Pure Hazel, which looks just as natural despite the really strong yellowish tint in center. The digital color diagram is placed inside the silicone hydrogel material in an attempt to improve comfort, and compared to Freshlook Colorblends, I would say that it is a comfort upgrade. Personally, would I call this lens comfortable? Absolutely not. I barely stood it for the pictures, haha. But if you have read my other posts you know I am insanely critical of lens comfort, and can only wear the thinnest and most moisturized dailies happily. FYI: If you wear dailies, you aren't going to find any monthly contact lens very comfortable. Maybe if they make Dailies Total 1 with colors I would be more open to suggestion. In summary: I thought that the lens has the best color effect I have seen yet; surprisingly natural even when photographed with a really close zoom. The lens uses the very healthy Air Optix Aqua silicone hydrogel material, which is an oxygen level that I can happily stand behind. It is made for monthly use, which is much better for compliance schedules. And while the comfort wasn't for me, if you are a happy Air Optix Aqua wearer, a competitor monthly lens wearer, or a previous Freshlook Colorblends wearer, then this should be a seamless transition for comfort! That's a shame to hear. I was hoping it was just me being sensitive. 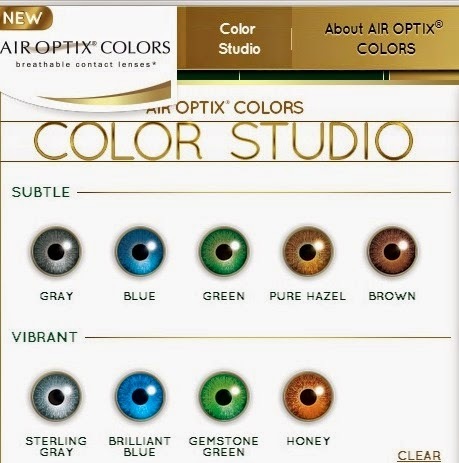 So far I haven't had patient complaints about comfort from current Air Optix Aqua or Freshlook colorblends wearers (small sample size at my office to this point, though). But I imagine that especially those previous Acuvue 2 Colors lens wearers that are without a product might have some real initial conversion issues. Since they have them same Dk/t of 138 as Air Optix Aqua, which can be worn overnight for up to six days, I was curious if this wearing schedule is possible with Air Optix Colors as well? Also, do you know whether their full roll-out will include toric lenses as well? So this is the exact same lens as Air Optix Aqua, but I just spoke to a CIBA rep today and they informed me that they do have the approval for up to 6 nights of overnight wear "pending" with the FDA. It should be a formality since it is the same contact lens, but officially speaking this lens is not overnight approved at this date. I will post back here when I get any updates. No news on a launch date for toric offerings unfortunately at this time. 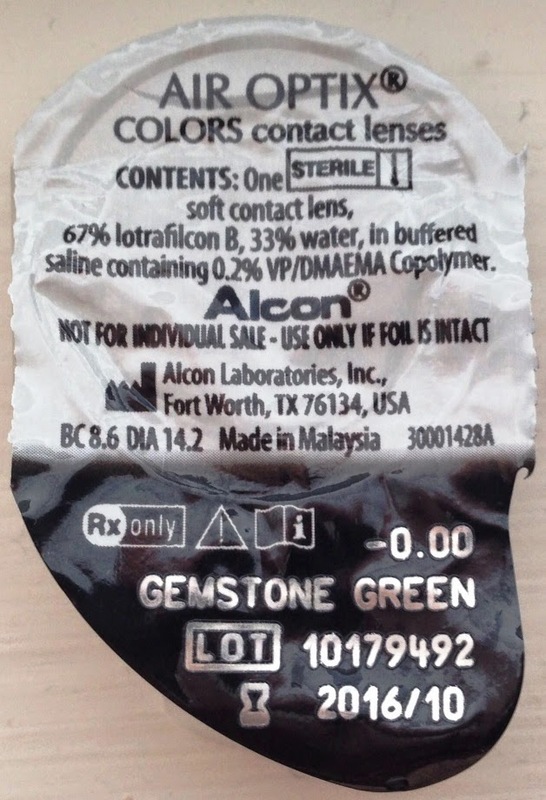 Can someone with astigmatism wear this kind of air optics contacts. I love the colorblends toric but they are now discontinued. And I beleive they were the only color contacts at the market for people with astigmatism. I went to reorder and they can't bs processed. Im just shocked my eye doctor did not know that when she gave me the new prescription. This must be a recent development, so I have contacted my Ciba Vision rep to get more details for you. Check back soon for more information once I get a response! Hi I was wondering if you found any any new updates. And also with air optics make color toric lenses as well. Okay, thank you so much! I called alcon but didnt get much help they just said since January 2014. Does anyone know if they look as natural as the Freshlook colorblends? Don't want to buy & then they end up looking "fake"
Can someone please help. I have a base curve of 9.0 but this is NEVER an option for optical coloured lenses anymore and it’s so upsetting. How is anyone with a 9 BC ever supposed to get coloured lenses?